Browse the new collection of blazer down jackets, an elegant and timeless choice for the modern man. An iconic piece of menswear, quilted blazer combines style with functionality. Hetregó’s version of this style mixes the construction of a blazer-type garment with the brand know-how on goose down manufacturing. The result is a down blazer: elegant and formal as a blazer and comfortable and casual as a down jacket. 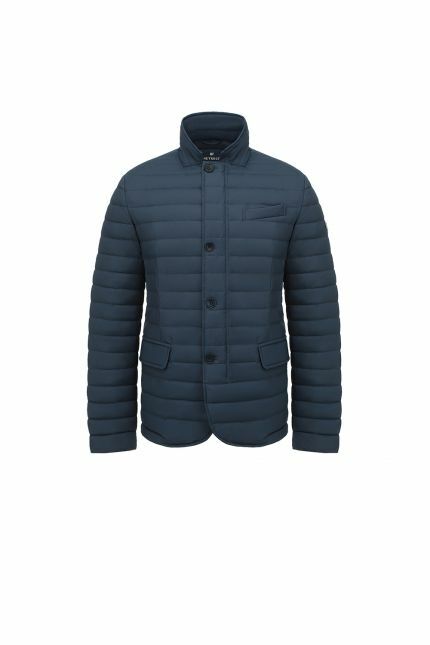 Ideal for mid seasons, style a quilted down blazer with jeans, elegant trousers or even with track pants. For a refined style, why not trying this piece of outerwear over your vest, but please remind to fasten all buttons on the vest except for the bottom. 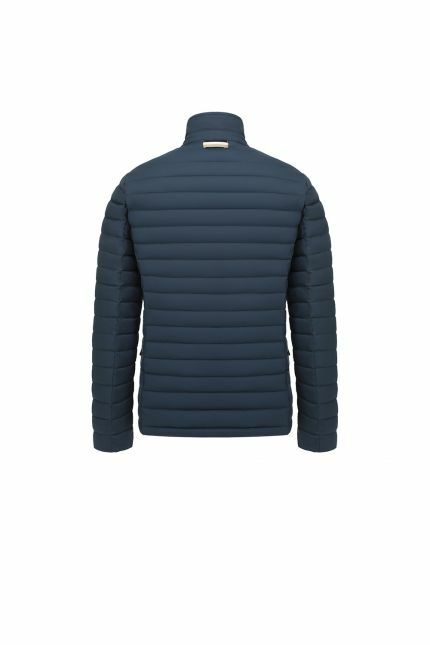 Or for extra warmth, wear a down jacket under a blazer. This style appeared for the first time back to 1825, when Lady Margaret Boat Club rowing team at Cambridge University adopted a gentlemanly sporting jacket to row in. The cut was more casual than traditional suit jackets, allowing sportsmen to play easily while maintaining a sartorial dignity. As the jackets were in a bright red colour, the style was name “blazer”. The perfect blend of tradition and innovation: water repellent and windproof down blazers are the best solution to stay warm without sacrificing style for functionality. From summer to winter, at Hetregó you can find the perfect blazer for any season.